The cotton Crochet Fly Bonnets from USG are designed to keep your horse protected from pesky bugs. 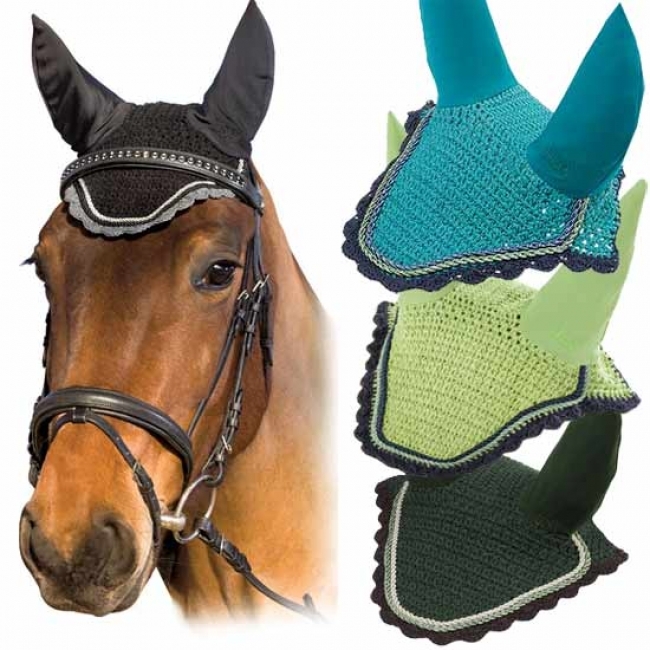 These fly veils feature crocheted 100% cotton with elasthane ears that stretch for a perfect fit. The body color is accented by matching rope and trim.